Maroochydore's Ian Ward captured this image of the supermoon over the Sunshine Coast on Sunday night. 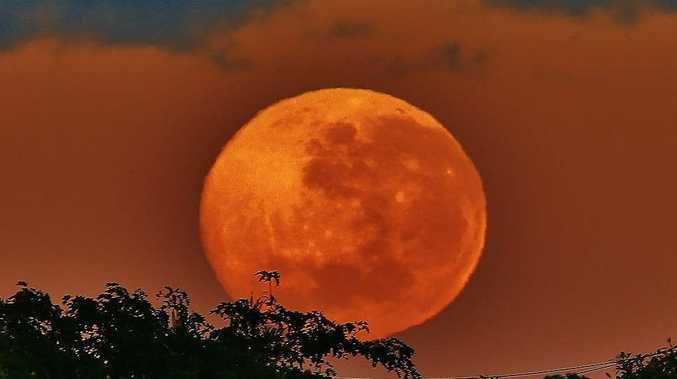 SUPERMOON fans have taken to social media to post their photos of the spectacular moon on Sunday night around the world. The "super Moon" will continue again on Monday as a result of our closest heavenly body being about 60,000km closer to the Earth than usual. 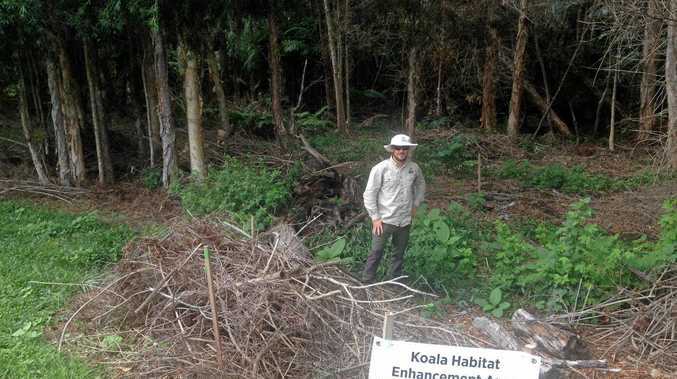 Owen Bennedick, of Wappa Falls Observatory at Yandina on the Sunshine Coast is loving every minute of it. "It's going to look quite big in the sky, the biggest for 12 months," he said. "It will look quite spectacular." Mr Bennedick said the spectacle never failed to impress people. The phenomenon will trigger a king tide and even has the power to lift land by centimetres. In extreme cases it can cause minor earthquakes. "The centre of the earth is fluid and gravity pulls on fluid things, and the tectonic plates float on the molten rock, so it'll move," Mr Bennedick said. "People don't realise that without the Moon we don't have tides and we don't have wind. The tides moving up and down pump the air around the Earth, but it's not as dramatic as Hollywood would make out." But with the spectacular view of the lunar landscape will come a possible threat to beaches and low-lying areas. Maroochydore's Cr Jason O'Pray urged residents to take care with possible flooding, particularly around Cotton Tree and Bradman Ave near the motorway bridge. "There's a lot of sand in the river systems, it's heavily clogged, so the water isn't flowing fast at all and it takes time to subside," Cr O'Pray said. Predictions were for the surf to increase only moderately, which was good news for ongoing sand-pumping at Maroochydore beach. "Fingers and toes crossed, we're looking good for now," Cr O'Pray said. Boat owners and people with properties fronting the ocean or rivers have been warned to prepare for the king tides. Maritime Safety Queensland executive director, Patrick Quirk, said they should consider moving their tinnies, kayaks, garden furniture or other items away from the water's edge to avoid them being swept away. "While the highest tides occur at the beginning of the year, the winter king tides are very close to those heights," Mr Quirk said. "If current sea conditions get worse, the levels could go higher, further adding to the likelihood of items going missing." Where does the Supermoon register on your radar? This poll ended on 23 June 2014. Will it make my bills cheaper? I'm hosting a party for the occasion - fly me to the moon!